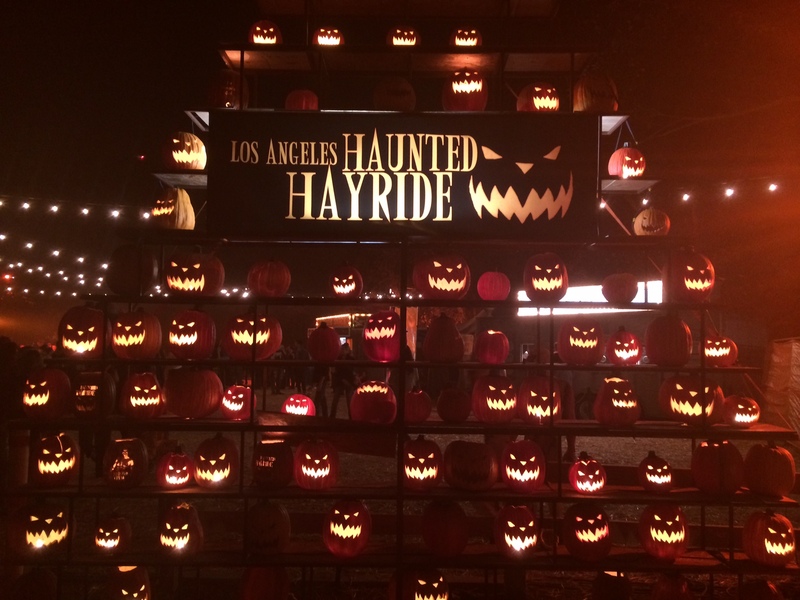 Nowhere in Los Angeles is Fall fun most epitomized than at the Los Angeles Haunted Hayride at the Old Griffith Park Zoo. 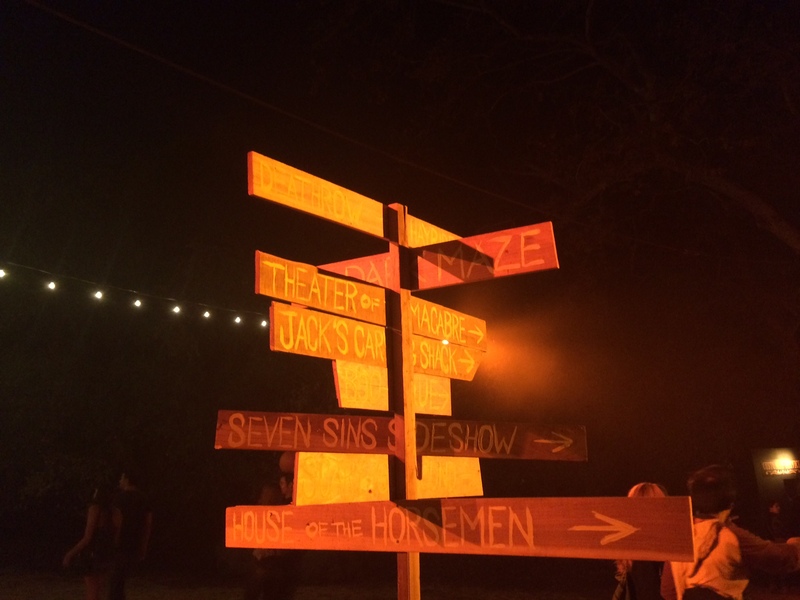 From pumpkin carving and Scary-go-round, to dark mazes, monsters, and the signature hayride that shepherds you through an eerie and surprising landscape of live, interactive scenes, this event is a must-do for everyone looking to get into the spooky spirit of the season. 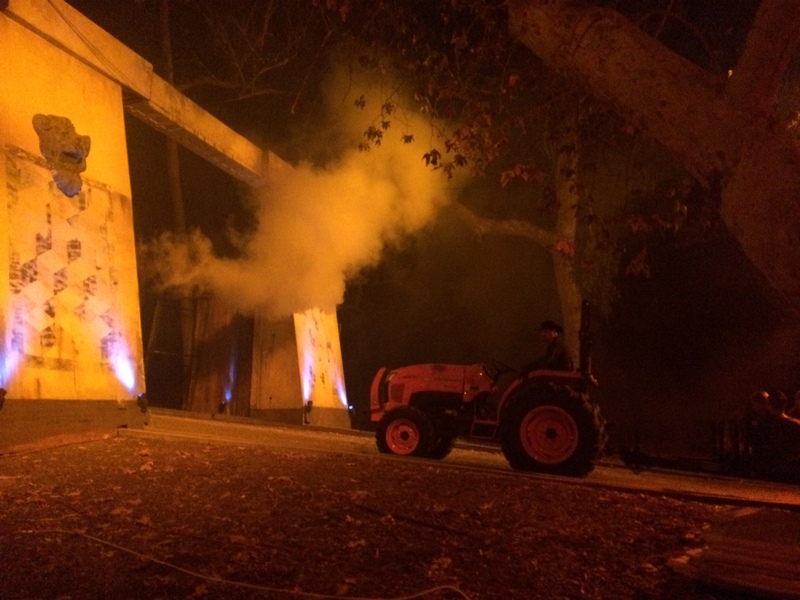 This years’ LA Haunted Hayride theme is “Echoes From the Rift,” featuring two new scare zones – the devilishly fun “Seven Sins Sideshow” attraction and the “House of the Horsemen” maze in which you stand in judgement before the each of the 4 Horsemen of the Apocalypse. “In-Between Maze” is a uniquely dark experience in which you are thrust into blackness and must find your way out. 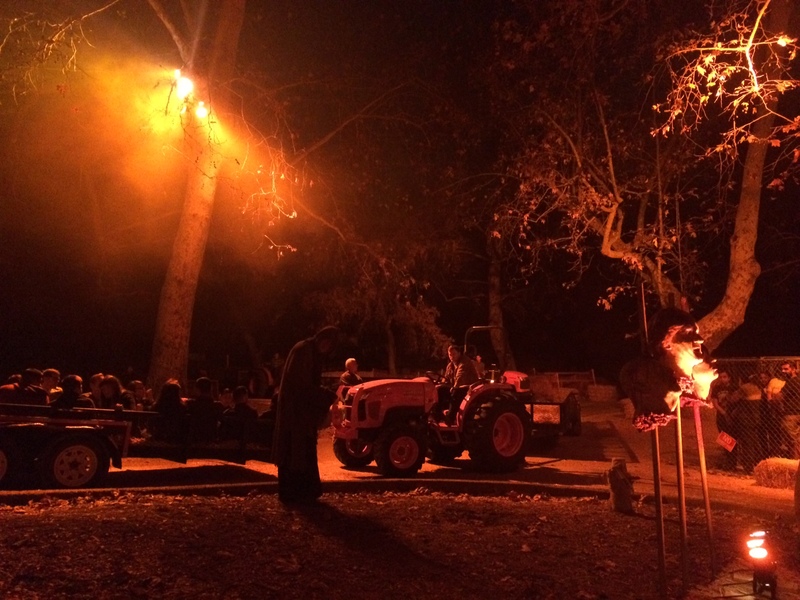 The Haunted Hayride itself this year features visionary scenes with monsters, strange winged things and interactive scares galore. 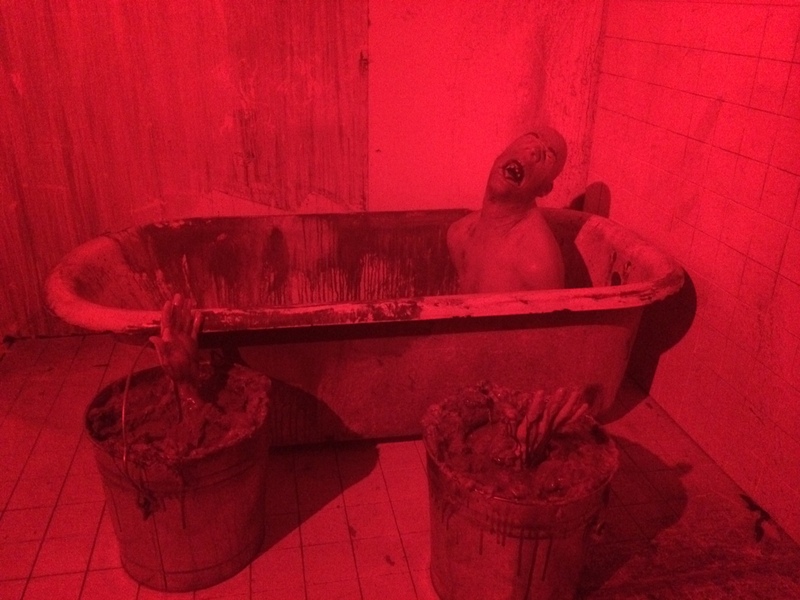 The “Purgatory” area is your place to chill out in between scares, and includes a Scary-Go-Round and Theater Macabre. 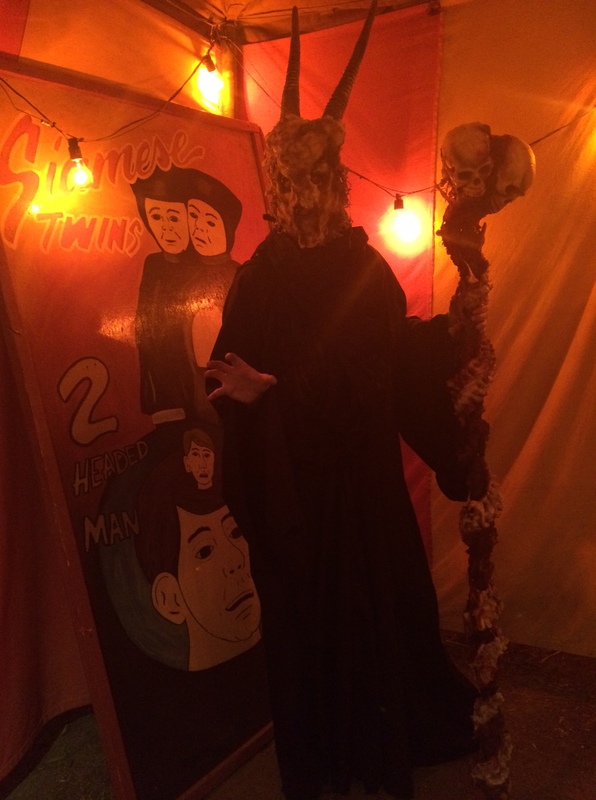 We had a ton of fun at the hayride this year and enjoyed the new additions of the Seven Sins Sideshow and House of the Horsemen. The Cons: 1.) We still had hay in our pants days later, and 2.) We missed the clowns from last year. Bring back the clowns! The Pros: Everything else. RATING: A. Grab your friends, a date, or the whole family and enjoy some Halloween fun! Open select dates through Oct 31st.